Brenda Teele is the owner of Aegis Title Company, LLC. Her experience in the title industry is immense, overseeing more than 25-thousand Real Estate transactions as the Contract Manager for a multi-million dollar government contract. Prior to leading offices in Dallas, Fort Worth, and Houston for Jackson Law Firm, Brenda gained a wealth of knowledge of Texas real estate and lending from the news anchor desk. She is a 25 year veteran in the television industry starting in Baltimore, Maryland as a news desk editor before becoming a news writer in Los Angeles and ultimately a news anchor in the Dallas Fort Worth market. 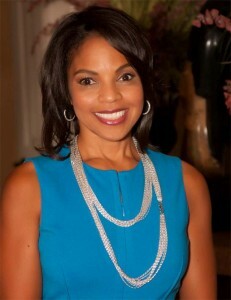 She became a part of the Dallas/Fort Worth community in 1995 and has enjoyed on-air positions at WFAA-TV, NBC5, CBS11, ABC Radio Networks, and KKDA-Radio. During her tenure, she’s enjoyed television conversations with President George W. Bush, Bill Cosby, Maya Angelou, George Foreman, Kenny Loggins, Wyclef Jean, Amy Grant, and Arriana Huffington, Russell Simmons, John Legend, and Paula Dean., just name a few. Born in Los Angeles, CA, Brenda is a graduate of Howard University with a Bachelor of Arts degree in Broadcast Journalism. She has received a variety of honors and awards including an Emmy, Golden Mike Award, Los Angeles Press Club Award, National Association of Black Journalists Award, and numerous Associated Press Awards. Brenda is the proud mother of three sons, Evan, Pierce, and Chase. They are members of Oak Cliff Bible Fellowship Church in Dallas, Texas.